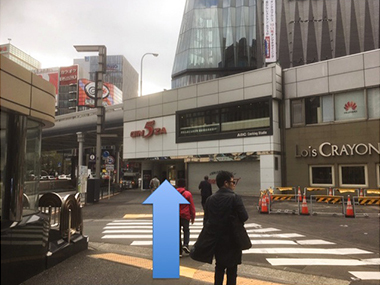 ① Take the Ginza exit and turn right. 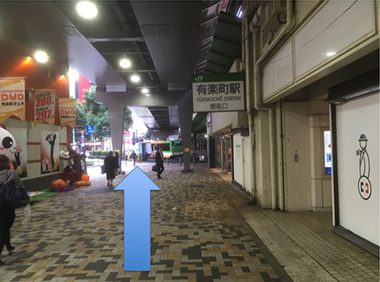 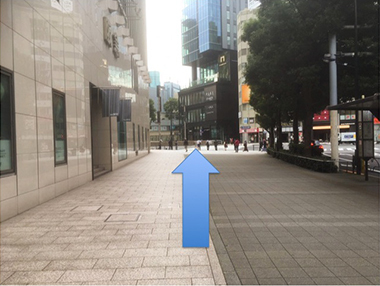 ② Go straight for 30 m.
③ Turn left and walk toward Harumi Steet. 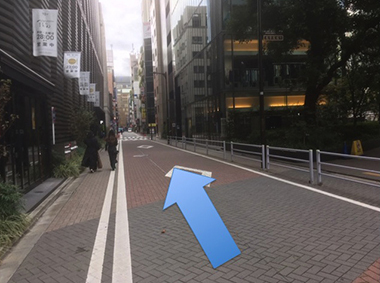 ④ Go straight for 50 m.
⑤ Cross Harumi Street and walk toward Ginza Five. 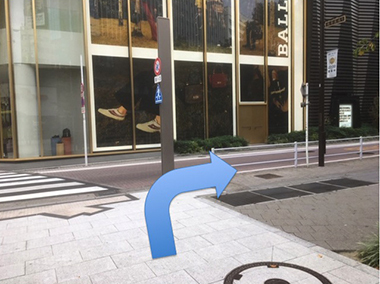 ⑥ Walk straight till you see Sukiyabashi Park. 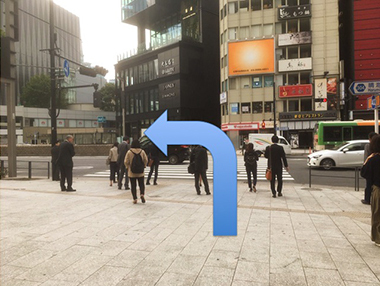 ⑦ Turn right on the corner of Sukiyabashi Park. 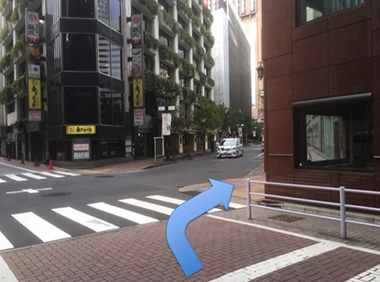 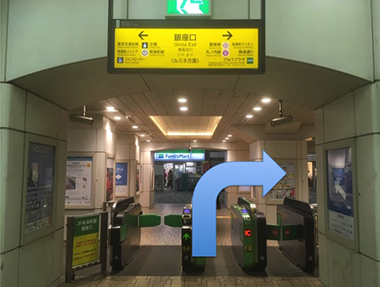 ⑧ Go straight for 80 m.
⑨ Turn right on the corner of the first intersection. 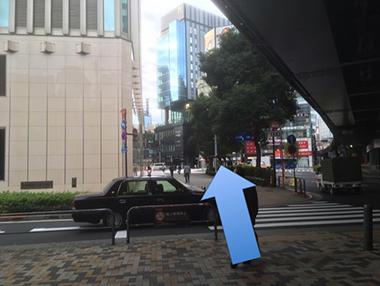 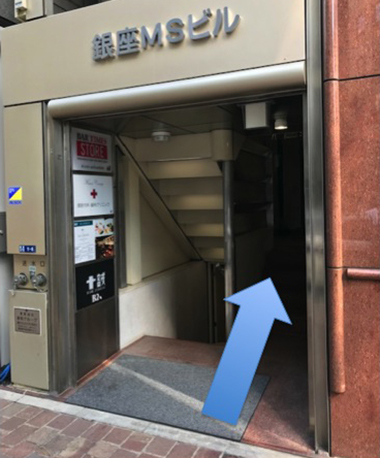 ⑩ On the right hand side, you will see Ginza MS building and take a lift to 6F. 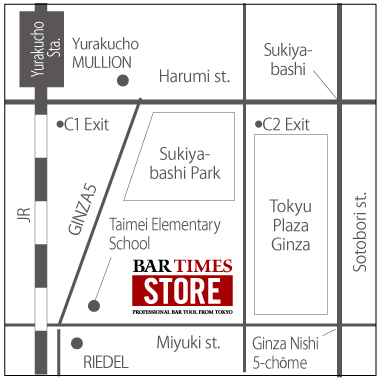 (C)2019 BAR TIMES ALL Rights Reserved.